Open for walk-ins daily from 8.00. Reservations only available for dinner service, beginning at 6.15pm, with last orders at 9.15pm. 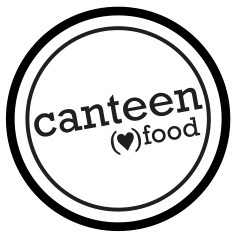 Really enjoyed the evening, food delicious as always, staff very efficient and friendly, highly recommend Canteen. Paul Williams loves food. Simple as. He deserves to be supported. You’ll never be disappointed. Tasty as. This was a gorgeous evening with food and friends. I really enjoyed the philosophy behind this event and how this feeds into a sense of belonging to a place or city. The stew was seriously delicious and super reasonable. A great way to spend an evening in the city - thank you canteen. Really enjoyed food, friendly service as always, relaxed welcoming atmosphere. Delicious! Particularly loved the Egyptian mess.